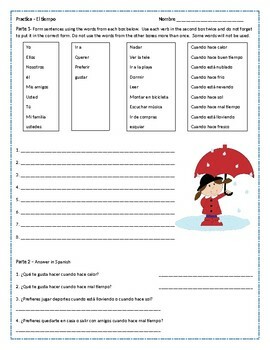 Worksheet reviewing weather and activities vocabulary. 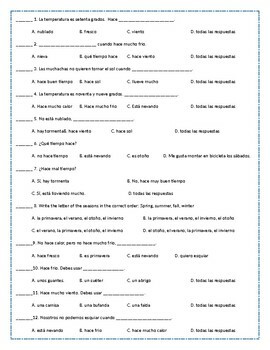 3 sections in worksheet, please see preview for more information. File can be edited to best suit your needs. Clip art used with permission from www.pixabay.com. Thanks for looking!